The head of one of Europe’s largest hedges fund threw his weight behind calls for a 20% cap on interest rates. Paul Marshall was speaking at a conference on ‘Christian Responses to the Great Recession’, organised by St Mellitus College, King’s College London and the Contextual Theology Centre (CTC). Marshall was one of a wide-ranging panel supporting the call for an anti-usury law. The call is being made by London Citizens – an alliance of over 150 religious and civic institutions – as part of a wider response to the credit crunch. Other proposals include the ‘London Living Wage’ which has already secured over £25 million for low-paid workers in the capital. Endorsing the call for an interest rate cap, economic commentator Andrew Dilnot urged church leaders to speak out more clearly on the issue. The conference heard testimony from individuals and churches affected by the credit crunch, including those trapped in loans with spiralling penalties and charges. In a keynote lecture, Prof John Milbank that London Citizens’ measures were “only the start” of what was needed. Milbank argued that economics was gripped by a fundamentally mistaken view of the human person, as if they were “wholly driven by self-interest”. The truth, he claimed, was more complex: “we are created good, we are sinful, and we are capable of being perfected by the grace of Jesus Christ”. The conference ended with a presentation by Phillip Blond. Blond recently launched the ResPublica think-tank, and its ‘red Tory’ philosophy is having a growing influence on David Cameron’s thinking. Blond argued that since the 1970s, the growing wealth in British society had failed to trickle down from rich to poor. He blamed this on the growth of both ‘monopoly capitalism’ and the welfare state – to the exclusion of the ‘Big Society’ for which Cameron is now calling. I had the opportunity to join London Citizens during the summer (month of July 2009). As part of a group, our aim was to further the cause of the CitySafe campaign in Newham by building and developing relationships with member and non-member institutions in that area by engaging with members and non-members through conversations with shopkeepers. Our specific aim was to encourage as many Green Street shopkeepers and shop managers to sign up to the CitySafe charter and put forward their shops to be CitySafe Havens. We therefore had the opportunity to discuss the issues surrounding the CitySafe campaign with those working in and managing shops and also allowed us to discover what the experiences of these shopkeepers were, and as such to discern where the greatest sympathies with the campaign lay. We also had a neighbourhood walk as a means of keeping people up-to-date and raising an awareness of the activities of London Citizens and establishing a visible presence in the area. By the end of our internship, we had signed up sixteen shops in which more shops signed up to be havens as the weeks progressed. Amma continues to be a Jellicoe Intern – now working to get students at her University involved in the campaign. She’ll be posting on this as the action develops. Our local partner churches scooped a series of awards last night as London Citizens celebrated another amazing year of action. Capt Nick Coke of Stepney Salvation Army was East London’s Leader of the Year, and St Paul’s Shadwell was London Citizens’ Congregation of the Year. Josephine Mukanjira won the presigious Founders’ Award for her work on developing the community organising team at St Martin’s Church, Plaistow. Two of the Contextual Theology Centre’s Fellows – Dr Luke Bretherton of King’s College London and Dr Maurice Glasman of London Metropolitan University – were jointly recognised as London Citizens’ Political Strategists of the Year for their work on the anti-usury campaign. Both will be speaking at this Saturday’s Study Day on Christian responses to the Credit Crunch. 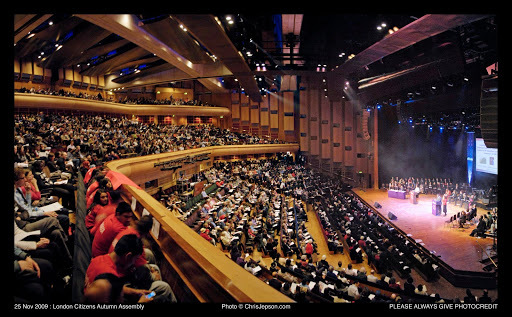 As a Jellicoe Community intern, I aim to engage the members of the St. Mary’s church, Cable Street, in community organising; I volunteer at events (like the 2000-strong London Citizens assembly at the Barbican); and I have chosen to conduct political research and attract supporters for the Sanctuary Pledge campaign with London Citizens’ Citizens for Sanctuary team. But what does community organising actually aim to do? This was the question that really puzzled me during my earliest weeks here. What I’ve learned is that it actually can’t be defined by what it seeks to achieve: community organising is a process-of bringing people together so that they can actually develop the power necessary to achieving a wide variety of ends, most of which will only be fully conceived once we’re all together and able to discuss our interests. But in being a process without intrinsic ends, it’s by no means empty. Most importantly, it’s about empowering people, by bringing them and their broad networks and communities to campaign together, to deal with the challenges they face on a daily basis. Secondly, and very significantly in a city as diverse as London, it helps to bring people who otherwise wouldn’t meet into situations where they proudly cooperate for shared goods. In doing these two things, the process of community organising helps members to make massive leaps in campaigns like those for a living wage, affordable housing, financial literacy and city safe-havens. I’ll be keeping you updated with my work as a Jellicoe Community intern, as it progresses. 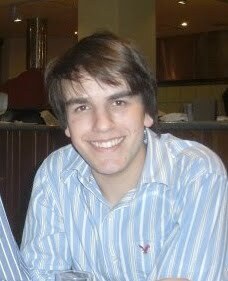 Nick Coke, from our local Salvation Army congregation (where Theo is on placement) has blogged about Wednesday’s assembly here. There’s also some further news coverage. Maurice Glasman, the moving spirit in ‘blue Labour’ and a key leader in London Citizens, will be speaking at Monday’s Jellicoe Seminar on Community Organising, on the impact of organising on UK politics. Lecture Room A, Magdalen College, 2 to 4pm. A lot of ink has been spilt on the subject of the credit crunch. Last night, 2000 Londoners showed that actions speak louder than words. The London Citizens assembly, on ‘Taking responsibility in the economic crisis’ won commitments from politicians and business leaders. Boris Johnson reaffirmed his backing for a London Living Wage – now paid to all the Greater London Authority staff and contractors – and an earned amnesty for undocumented migrants. Executives at Barclays, PriceWaterhouseCoopers, Linklaters and KPMG, some of whom were initially deeply reluctant to pay a Living Wage , were recognised as Living Wage Employers. They said the wage made business sense, as well as moral sense. Ironically, only the Corporation of London is pleading poverty and refusing to pay £7.60 rate – though, after powerful testimony from an employee on a lower rate of pay, Cllr Mark Boleat promised this was under review. Treasury spokesmen for the Tories, Labour and LibDems all promised to work with London Citizens on their five-point plan, which makes a controversial call for a cap on interest rates drawing on Scriptural teaching against ‘usury’. Already the Conservatives have agreed to a cap on storecard rates, and they will work with London Citizens to identify other financial products where regulation could apply. Jellicoe Community members have been at the heart of this assembly, and will be blogging on their work, and their impressions of last night’s event, in the days ahead. 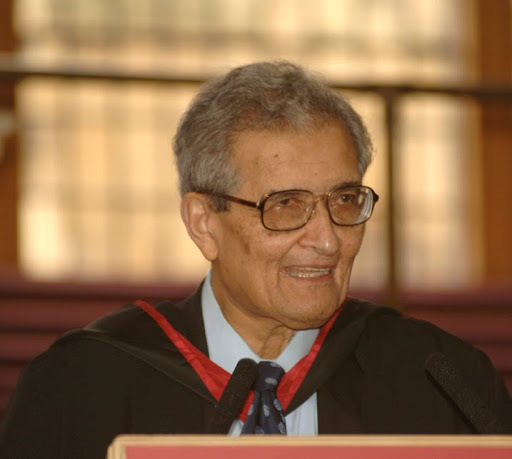 On Thursday, Nobel laureate Amartya Sen addressed a packed Sheldonian Theatre in Oxford at an event to mark the publication of his The Idea of Justice. At a seminar that afternoon, he discussed the issues the book raises with a range of academics, policy makers and activists. They will be available this week on podcast – and include contributions by James Purnell and Angus Ritchie on the importance of powerful local communities. Angus’ talk makes particular reference to the forthcoming London Citizens assembly (see previous post). Boris, Vince, Tessa, 2000 Londoners… and you? Students from our partner universities – Oxford, East London and Notre Dame – will be joining the floor team for Wednesday’s historic London Citizens assembly. Boris Johnson, Vince Cable and Olympics Minister Tessa Jowell will all be there. Let us know if you want to join the team. The following Monday (30th) at 2pm, London Citizens’ Maurice Glasman will be speaking at the Jellicoe Seminar at Magdalen College on Red Tories, Blue Labour: The impact of Citizen Organising on British politics. All students and staff are welcome. 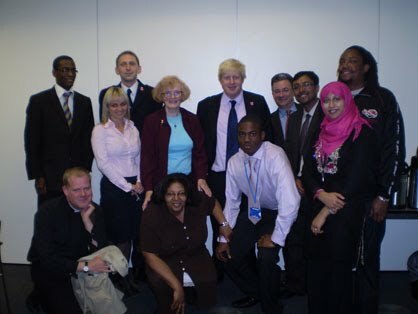 Mayor of London Boris Johnson has made City Hall the 200th London Citizens CitySafe haven. Members of the Jellicoe Community spent the summer signing up havens in Shadwell, Plaistow and Hackney. The Times has an excellent article on the campaign, and the City Hall sign up was covered on the BBC.